Για εκείνους που θέλουν να απολαύσουν τα αξιοθέατα και τους ήχους της πόλης Πάι, το Namu Hotel είναι η ιδανική επιλογή. Από εδώ, οι επισκέπτες μπορούν να έχουν άμεση πρόσβαση σε όλα όσα η πόλη έχει να προσφέρει. Με την βολική του τοποθεσία, το ξενοδοχείο προσφέρει εύκολη πρόσβαση στους προορισμούς της πόλης που πρέπει οπωσδήποτε να δείτε. Στο Namu Hotel, πραγματοποιείται κάθε προσπάθεια για να αισθανθούν άνετα οι επισκέπτες. Για να το πετύχει αυτό, το ξενοδοχείο προσφέρει τις καλύτερες υπηρεσίες και ανέσεις. Κορυφαία χαρακτηριστικά του ξενοδοχείου συμπεριλαμβάνουν τα δωρεάν WiFi σε όλα τα δωμάτια, ημερήσιος καθαρισμός, γρήγορο check-in/check-out, ασύρματη σύνδεση Wi-Fi σε δημόσιους χώρους, ξεναγήσεις. Απολαύστε ανέσεις υψηλών προδιαγραφών κατά τη διαμονή σας. Ορισμένα δωμάτια περιλαμβάνουν ντουλάπα, πετσέτες, επίπεδη τηλεόραση, σύνδεση internet (ασύρματη), ασύρματη σύνδεση internet (δωρεάν) - ό,τι πρέπει για να αναζωογονηθείτε μετά από μια γεμάτη μέρα. Εξάλλου, το ξενοδοχείο διοργανώνει πολλά ψυχαγωγικά δρώμενα έτσι ώστε να έχετε πολλά πράγματα να κάνετε κατά τη διαμονή σας. Το Namu Hotel είναι ένας ιδανικός τόπος για να μείνετε αν ψάχνετε για γοητεία, άνεση και ευκολία στη Πάι. 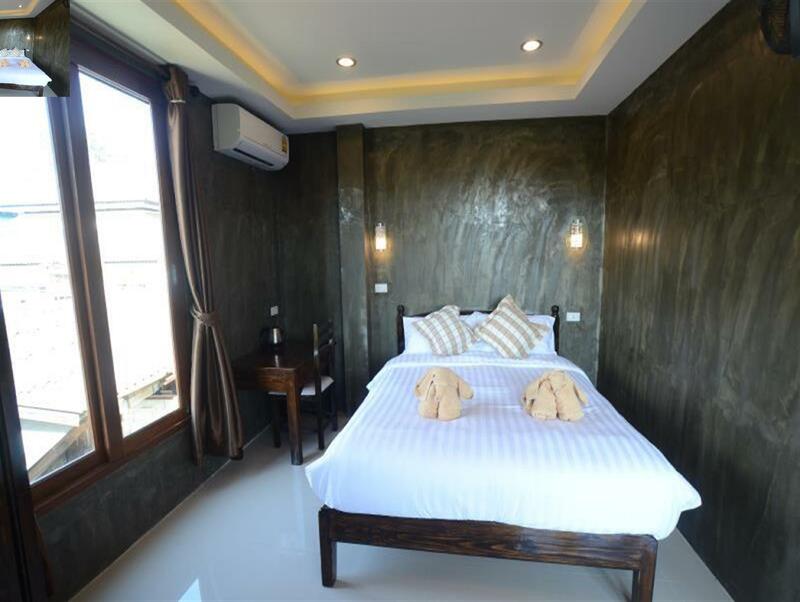 The hotel is located right at the end of the walking street night market and is also about 10 minutes walk to the main van stations to Chiang Mai/ Chiang Rai. Eateries, tour services and motorbike rentals are all close by. Rooms are clean and comfortable. WiFi speed is good and breakfast, although simple, is sufficient to get you started for the day. The only downside is that it can be a little noisy at night when the walking street market is in full swing. The location is good but I can't say that breakfast is delicious. Great location. Overall the stay was pleasant. However, if you plan to sleep earlier (before 12am) and you are a light sleeper, the live music played by the bar beside the hotel might disturb your sleep as the sound isolation is not good. Towels were provided but didn't change throughout our stay. Location is right at the river side of walking market street. Limited parking so the owner offered to let me park the bike inside the home. Limited English so speaking Thai is helpful. 300 baht deposit for key. Room was decent and clean. Shower hose and holder needed fixing. Bed was comfortable. Was cheap but u have everything u need.plug by bed, hanger for drying ur laundry, aircon + fan, table oudoor and mostly the location was awesome. Towel was clean and thick, i feel its new building due to everything is neat and clean. Better than any other hotel on that price. I asked is she had a safe and she turned into the worst person I have meet in Thailand. I knew I had done something to upset her so I asked for my money back and we could go both go separate ways. She said absolutely not. I stayed at Li Lu the next two nights and was very happy. Very clean, new building. More expensive than the backpacker hotels but worth it, I moved here after a bad experience at another hotel. The lobby and hotel front could use a little facelift since it seems a bit like the owners living room. Balcony is so chill, nice for walking street people watching and relaxing. I left a pair of glasses in my room and the owners were very kind to ship them to my next destination across Thailand. Thank you so much! 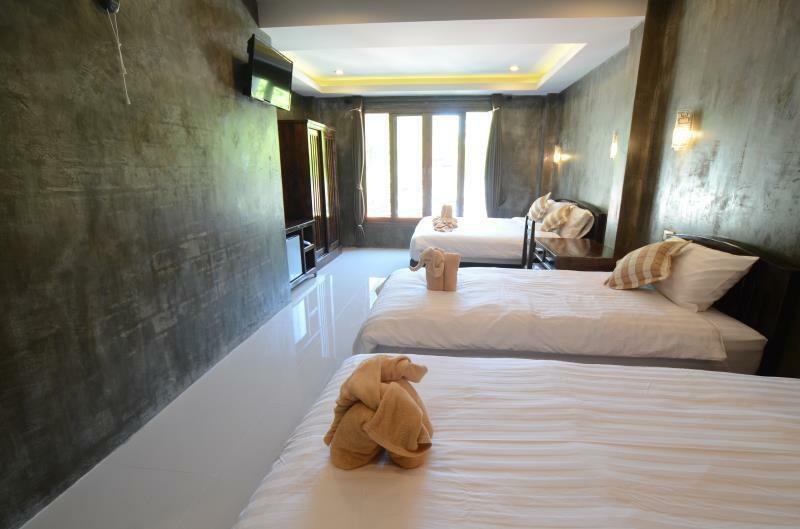 Firstly the room is really nice, bed is comfy and right in the middle of town. The wifi and the customer service are horrible. The man at reception didn't even take his earphone out when i was trying to extend for the day, says free coffee but the man said no coffee (seemed like he couldn't be bothered explaining where it was to me) breakfast is a loaf of bread and some jam. There are people (kids?) that run around outside the rooms from about 6am onwards which makes it hard to sleep in. We had an issue where I was charged the wrong amount when i arrived (less than what the booking said apparently) i paid the lady what she asked as well as a key deposit, when we checked out the same man as before took it the difference out of the key deposit without explaining the situation and was very rude when we were questioning it (because we were just going off what was owed on our receipt) we ended up walking away and not getting our money because it was too stressful. The situation would have been helped if he had tried to explain the problem and not just demand money when it was a mistake on their behalf. On a whole the place is good if you want a comfy sleep and being close to town, but don't intend to use their wifi or get the "free breakfast" Can get better stays for the same price next door or close by. Spacious, no room makeup unless you instructed them to, there is free parking for your rented scooter behind its yard, hotel is not soundproof so the crowd at the hostel beside can be noisy at times. Overall value stay. 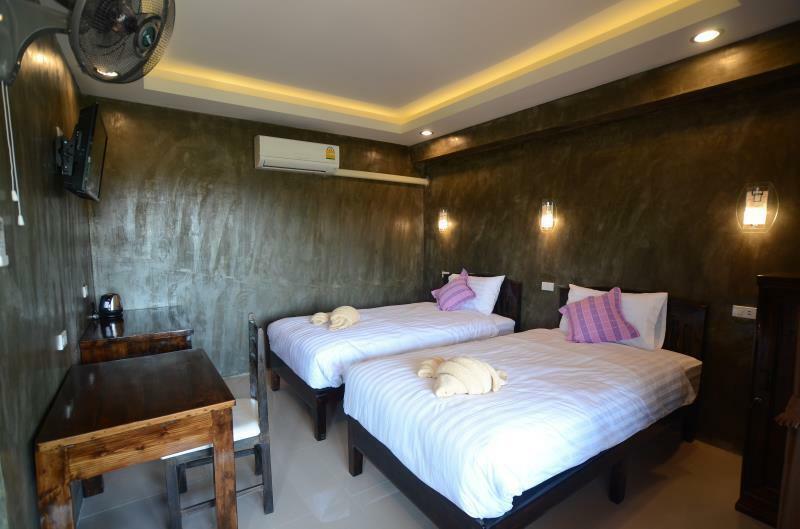 Location is good .in the walking street.room is big bed hard but big.no safe in room.main problem is the lack of communication with the reception they don't speak basic English. Weird is that the only way up rooms are at the back of the hotel. Staff are locals that don't quite understand English. Hotel is Ok. Shower dirty Hotel is in front of a bar. Thai like to drink and After midnight they like to fight This all happends in front of the hotel I wont return here!! very good location, on the walking street. Τερματικός Σταθμός Λεωφορείων Pai στα 0.26 χλμ.